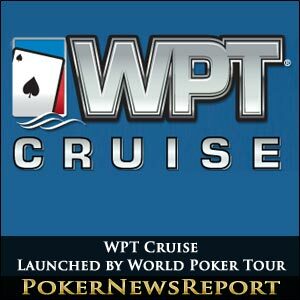 The World Poker Tour (WPT) has pulled into numerous towns and cities throughout the planet over the last 12 years, but it seems they are not content with sticking to land-based casinos and venues after announcing a deal with Miami-based cruise line brand Royal Caribbean International and the Cruise Authority to launch The WPT Cruise. The WPT has grown massively over the last two years – taking in more and more European locations – but hitting the high seas is certainly a novel expansion for the international poker series. As such, the inaugural cruise will set sail on Sunday, September 30 until Sunday, October 7, taking in spectacular locations such as Grand Cayman, Jamaica and Mexico, as well as the private beach in Haiti that is owned by Royal Caribbean. While no WPT tournament will actually take place on board the 160,000-ton Freedom of the Seas, passengers will be offered the chance to take part in sit-and-go events, as well as cash-only games, women-only tournaments and freerolls within the ship’s massive poker room throughout the eight-day cruise. 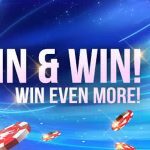 The prizes being awarded for finishing high up in any of the freerolls include cash, gift bags, WPT polo shirts and WPT chip sets, as well as a one-year VIP membership of ClubWPT. Moreover, the Grand Prize winner will receive a satellite entry into an upcoming WPT tournament, the WPT VIP Experience package, a VIP audience seat at a WPT main event final table, a WPT trophy and $1,000 to spend. The VIP Experience is certainly a one-of-a-kind prize worth coveting as it will see the winner and a guest receive a private tour of the set ahead of their chosen televised main event Texas Hold’em table. There’s more, though, as the lucky punters will also meet WPT anchor Kimberly Lansing and WPT commentators Vince Van Patten and Mike Sexton, and enjoy time with the glamorous and stunning Royal Flush Girls at the final table set’s exclusive social bar. Additionally, every WPT Cruise passenger will be given an exclusive WPT welcome package that contains a T-shirt, cap, playing cards and a Poker Primer DVD, while poker coaching and a complimentary three-month subscription to ClubWPT are also included. But the excitement doesn’t stop there as passengers will also rub shoulders with The Royal Flush Girls, as well as Van Patten and Poker Hall of Famer Mike Sexton, who is also a Team Party Poker Pro. Also, there will be opportunities for photo enthusiasts and autograph hunters to indulge their passions. The Freedom of the Seas is something of a VIP experience in itself, with WiFi capability, mobile phone connectivity and a flat screen television in every stateroom, as well as numerous choices of entertainment for children and adults – including a large rock-climbing wall, the H2O Zone water park, a mini golf course, a surf park and the exceptional Vitality Spa. If you fancy joining in the fun of a WPT Cruise and want to make a booking, or you’re looking for additional information, go to WPTCruise.com.